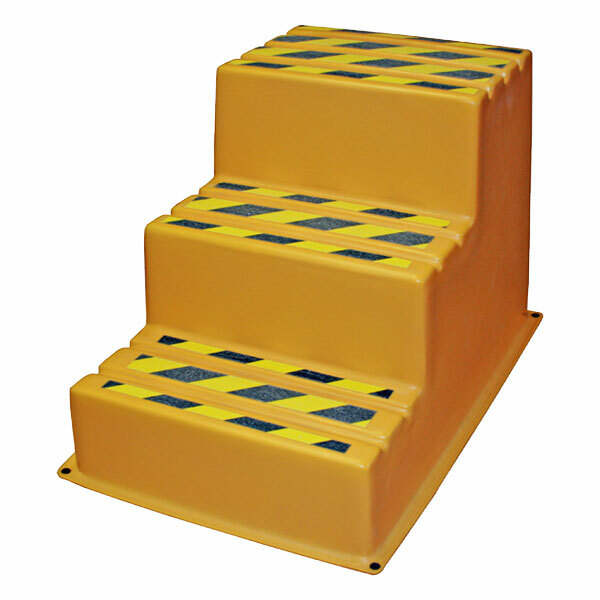 The SS Series SS3-N Three-Step Safety Step Stand Narrow Platform is a safety step stand with grit tape, recessed channels for liquids, nestable, resistant to corrosives, easy to care for, long-lasting, heavy-duty, high-capacity. OSHA compliant. Also referred to as plastic step stands, step stools or load stands. Three-step narrow model. Outer Dimensions (OD) (LxWxH) 22 x 32 x 31"
Give us a few details and one of our product specialists will get back to you right away. ©2019 Unifuse & Related Marks Property of Bird Dog Distributors LLC. All rights reserved.